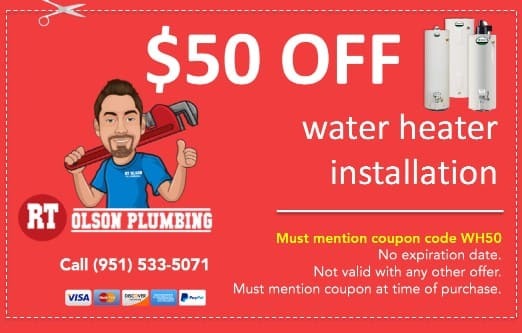 We fix, repair, replace, and install any make, model, of type of hot water heater you have. Gas, electric, propane, tank, and tankless. We fix them all! 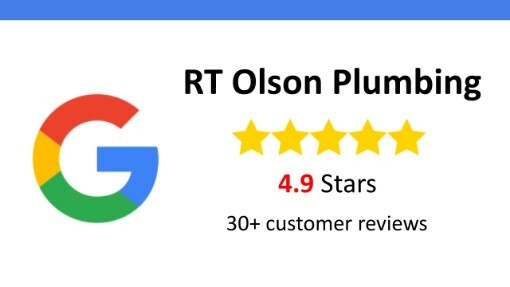 RT Olson Plumbing is your trusted plumbing company to help with repair, replacement, and installation. 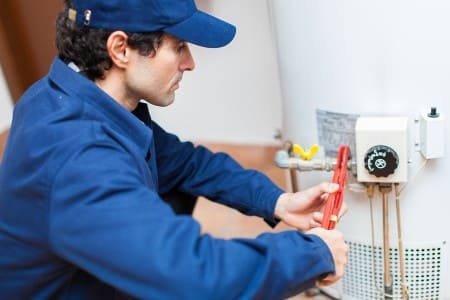 Check out our main water heater page for a lot more info and advice on maintaining, repairing, and replacing water heaters. Riverside County has hard water, which means its filled with too many minerals that are eating away at your faucets, dishwasher, washing machine, coffee maker, ice makers, etc. Hard water is also what’s leaving soap scum and those white and orange stains on your bathroom tiles and glass shower doors. Want to stop the madness and expense and start enjoy sparkling clean, fresh, softened water that feels great of your skin, tastes great and is healthy to drink, and leaves no harsh minerals behind to damage your appliances? A reverse osmosis and alkaline filtration system under your sink provides for safe, clean, and great tasting water to drink and cook with. 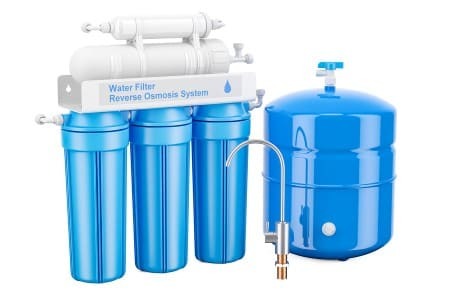 Get a whole-house water-filtration and softener system with an under-sink reverse osmosis system for as little as $29/month on approved credit. Contact us now for more info. 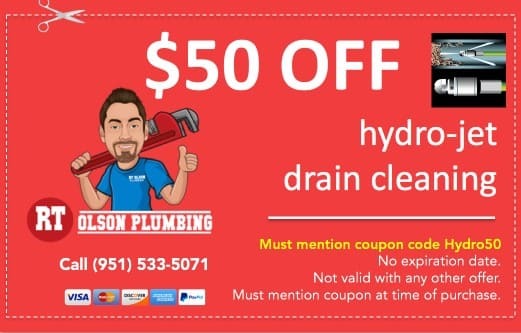 Best plumbers in Eastvale CA! 1. 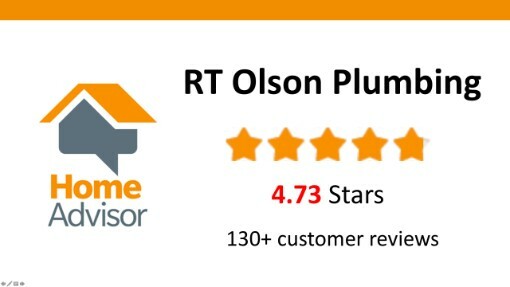 Over 150 customers have rated us a five-star plumbing company because we get the job done and take care of our customers. 2. 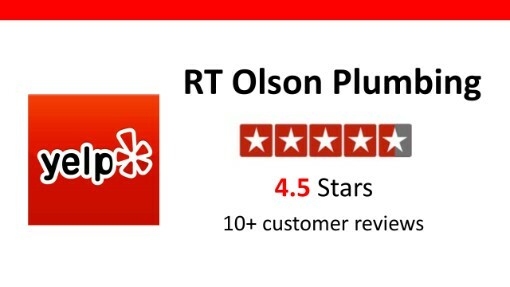 RT Olson Plumbing is licensed, bonded, and insured. CA contractor’s license #997337. 3. 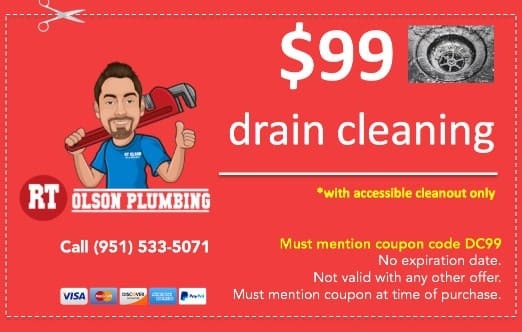 We’re local and service Eastvale, Norco, Corona, and Riverside. 4. 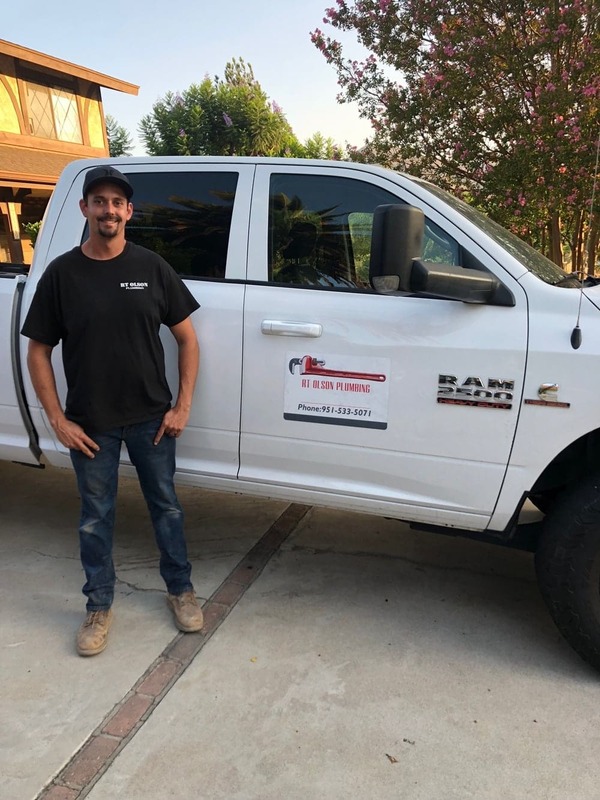 Sixteen (16) years plumbing experience and a 4th generation plumbing contractor. We’ve got plumbing in our blood. We fix things right, get it done with a smile, and at a good price. We take care of our customers because we know they’re the boss. The city is filled with 13 beautiful public parks and over 250 acres of open green space for recreation and enjoyment. Eastvale is a small city of around 11 square miles in the northwestern corner of Riverside CA. Eastvale declared city hood in 2010 and has seen dramatic evolution through the last few decades. What was once primarily dairyland pastures has developed into new neighborhoods filled with families and local businesses. The 15 freeway provides greta access to routes in all directions, which makes Eastvale a good place to commute from to areas in all directions. The area in and around today’s Eastvale was originally home to the Tongva people for over 8,000 years. Since the 18th century, the area has occupied at varies times by the indigenous Americans, the Spanish, Mexico, and ultimately ceded from Mexico to the U.S. in 1848 in the Treaty of Guadalupe Hidalgo during the Mexican-American war. Read more here. Eastvale population in the 2010 U.S. Census was 53,660 people in 13,640 households. Eastvale is part of the Corona-Norco Unified school district, which is a highly rated A- school district according to niche.com. The top employers in the area are big box retailers followed by distribution and manufacturing. Here’s more info on the city of Eastvale, city hall, and city public services.